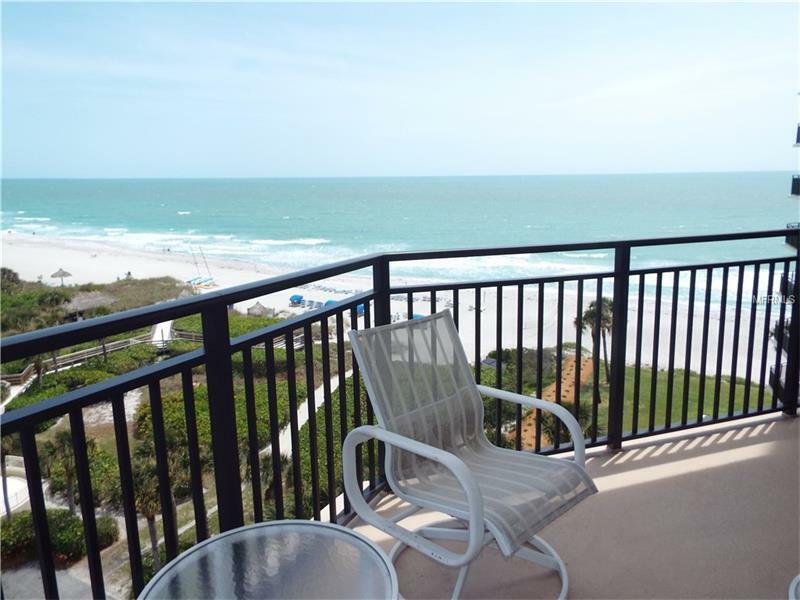 FULL GULF AND BAY VIEWS BEACHSIDE VACATION RENTAL. Amazing full Gulf views with large wrap around south-facing balcony overlooking the sandy beaches of the Gulf of Mexico, with expansive views along the beach and east to the Bay. Spacious and bright 2-bedroom, 2-bath turnkey furnished condo with fully equipped kitchen and washer/dryer close to the unit. Open floor-plan in living and dining area with flat screen cable TVs in living room and bedrooms and WiFi Internet access. King size bed in master bedroom with huge walk in closet, master bath en-suite with walk-in shower and exterior vanity. Queen bed in guest bedroom. Guest bath with walk-in shower. Desirable Islands West community in a secure building offers many amenities including a large beach side heated pool, tennis, fitness center, beautiful clubhouse with kitchen, and lending library. Seasonal rental rate $5,500/month (mid-Dec to mid-Aprl); $3,500/month (mid-Apr to mid-Dec) plus tax and fees. Located Gulfside at the lighted intersection across from Publix grocery, including CVS pharmacy. Restaurants, post office, tennis center, banks, churches, public library and town center with town park are just as convenient across Gulf of Mexico Drive. Close to Sarasota, St. Armand's Circle and Lido Beach for shopping, dining, golfing, arts, theatres and many cultural and community events as well as the Ringling Museum. Off-season rental available. 3-month minimum term required.